Diane von Furstenberg is a designer who makes clothes for women. And our ladies love her for it. The Wrap Dress is Diane’s most iconic design. She repeats it every season in different colors and patterns. 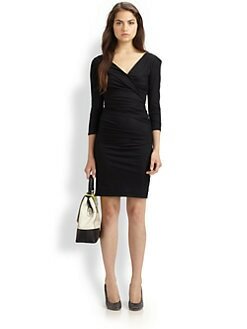 You will almost always find The Wrap Dress in stock at Uniquities! This style just came in. Available at North Hills (919-785-3385). The Bentley was a best selling style for DVF this past Fall. For Resort, they switched the fabric into a cotton jersey, making it a luxurious LBD that is sure to fit and flatter many! Available at Cameron Village (919-832-1234). Beautiful dresses continue to come in daily. Come have some fun with us! It’s all in the details with Paige Denim!